They are: how to create a clipping mask, how to create a compound path and how to group together multiple objects at the same time. These are things I use multiple times a day in my career. They are hands down, must know, fundamental knowledge. Contents, as well as transparency of the layer, are used by clipping masks to see if any area is to be visible. You might be confused on hearing this, but the fact is that clipping is much easier and quicker to use as compared to the older layer masks. 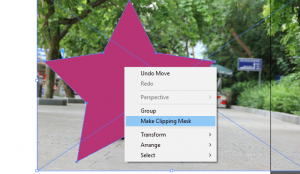 You have the option to make several clipping layers, but they all must be continuous.